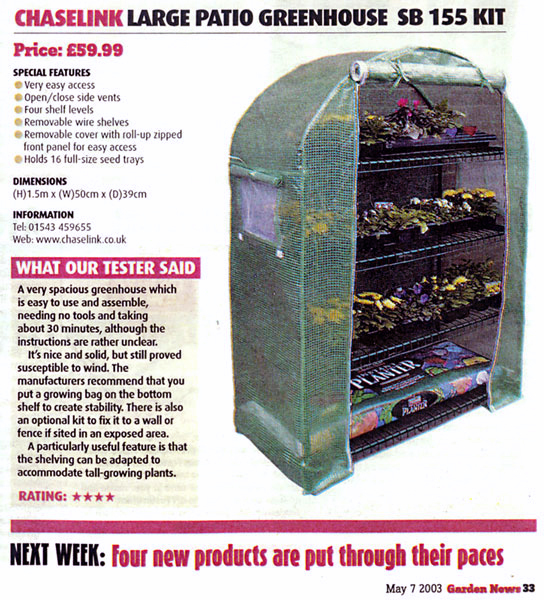 This 4 x 6 greenhouse is perfect for the keen amateur and fits comforably into the smallest of gardens. Fully inclusive of inegral gutters and smooth action sliding door. 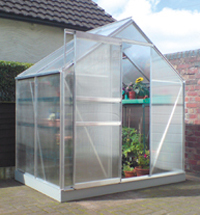 Polycarbonate glazing is used throughout and an opening roof vent is included. Aluminium Frame. More than 20 square feet of growing space. Base frame and staging optional extra - ring for details.